Evaluating poultry markets to ensure Canada's supply management system is efficient & innovative. Okay, so truth be known, I applied for my 2016 Nuffield Scholarship on April 30th. Yes, I left it to the last minute to hit send, but it was after two years of following previous scholars on social media, quietly talking to those in my own network, past Canadian scholars and industry mentors, as well as the contemplation that Kathryn and I mulled over. Is a Nuffield Scholarship right for you? More importantly are you ready for a Nuffield journey? Here are a few factors to consider? Is the timing right in your life? (my friends and family are doing a major eye role as they read this, wife, three kids, farm, career?) but what many don’t understand is that I was compelled to think it was okay. It’s a very personal question, but think about this; your Nuffield starts in early 2018 and goes for up to 18 months. As such, think about your life out for nearly 2.5 years from today! Just think about it! Do you have a minimum of 10 weeks, or in many cases 14+ weeks to invest in yourself and the agriculture industry outside of your farm or agriculture based career? Do you have a meaningful topic? If you are about to invest time and money, are you passionate about your subject matter? Your passion needs to persevere through the interview process, but motivate you to dig deeper and ask the hard questions, at the same time as people questioning your motives. Take my topic for example, examining our supply managed commodities to free market thinkers in the Southern Hemisphere. Or convincing the majority of the world that turkey is a great protein to consume! Are you resourceful? The easy question is bringing cash to the table. In truth, the Scholarship provides a ticket to the world, but my goal was to maximize the experience which consequently did the same for my budget, with zero regret I might add! The reality is that it costs money to travel and for me, I chose the Global Focus Program which took nearly 7 weeks alone. In addition to travel, it was also about additional farm labour and child care for my family and ensuring the balance of life remains intact. Are you in a positive space; mind and body, to step up and be a leader within your area of expertise and shoulder responsibility for the extended task at hand? It is exciting ‘winning the award’, but planning and coordination are key to long term success. I can’t even say that I am the expert as I haven’t finished my travel, let alone the report. However, I can attest to the time and challenges which are dedicated to executing a very independent project. Lastly, are you ready for a journey filled with once in a lifetime experiences, meeting new people and developing new friends, being challenged and challenging others on their agricultural beliefs, and allowing your mind to be opened? If so than it is not too late to hit SEND! I was fortunate to spend a short week and a half in Australia on the final leg of my Nuffield Canada Scholarship. Filled with gracious hosts, familiar faces and new industry contacts, my time did not disappoint. For those that would rather watch versus read my adventures, than this short video is for you! The past week was filled with conversation, exploration and laughter as I experienced first hand, Australian hospitality and culture. However the term ‘change’ best relates to my agricultural visits as each business has experienced varying degrees of change within their farm; bare in mind, change is not always bad. I began my week with a visit to Wade and Nicky Mann of Roses2Go, a greenhouse flower and fruit farm on the Central Coast. Both Nuffield alumni of 2016 and 2015 respectively, I have long been intrigued by their story of emigrating to Australia 15 years ago in search of a better life for their family after instability in their native Zimbabwe. I envy their perseverance and ability to adapt to change which wasn’t planned, but rather thrust upon them. The conversation we had about their combined enthusiasm of connecting to their consumers and growing a natural crop was a great way to start my week. I left our conversation being challenged to look at my business and to have confidence that sometimes change is difficult but to embrace it and shape your future and not have it determine your destiny. Staying on Mangrove Mountain, I was hosted for two days by Bernadette Mortensen and her family. With the sounds of little voices, it felt like home with constant chatter and excitement of a foreigner in the house. Bernadette farms with her parents Joe and Carmen and sister Andrea Galea. 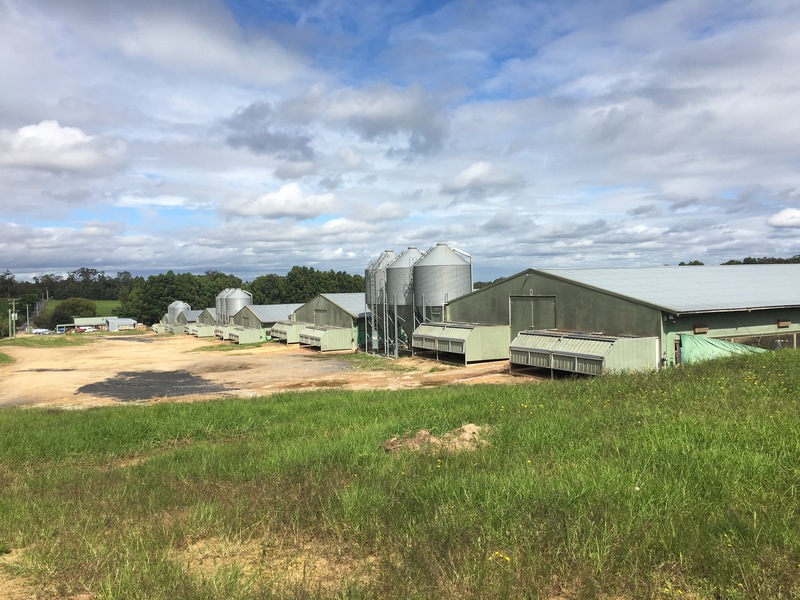 Their story of change infiltrates their business in a couple of ways; firstly the family was proactive in switching their large chicken broiler farm to outdoor access, free range production. This diversification was encouraged by their long term poultry processor as a way to differentiate in the market. As Joe pointed out, he could see the necessity to conform in an effort with reasonable scale to participate in a long term grower relationship. Given the location of their farm to a high mix of urban and rural neighbours, this ‘green’ way of farming serves as a negative as well; with poultry expansion in mind; Bernadette was declined the opportunity to build several more chicken sheds, instead she harnessed this energy for her 2015 Nuffield research; as such it is evident in the families passion for poultry the limitations they face from their neighbours and local council. It will be interesting to see the future of their farm, be it the avocados recently planted or another enterprise altogether. Heading west over the Great Divide, I called upon Rob Peffer in Molong. Rob works in a family corporation marketing eggs from 130,000 laying hens under the Canobolas Eggs brand; a combination cage, floor and aviary type production. Like any direct marketing firm, evolving with consumer needs is important, however for me, the essence of change revolved around the deregulation of the egg sector over 20 years ago. 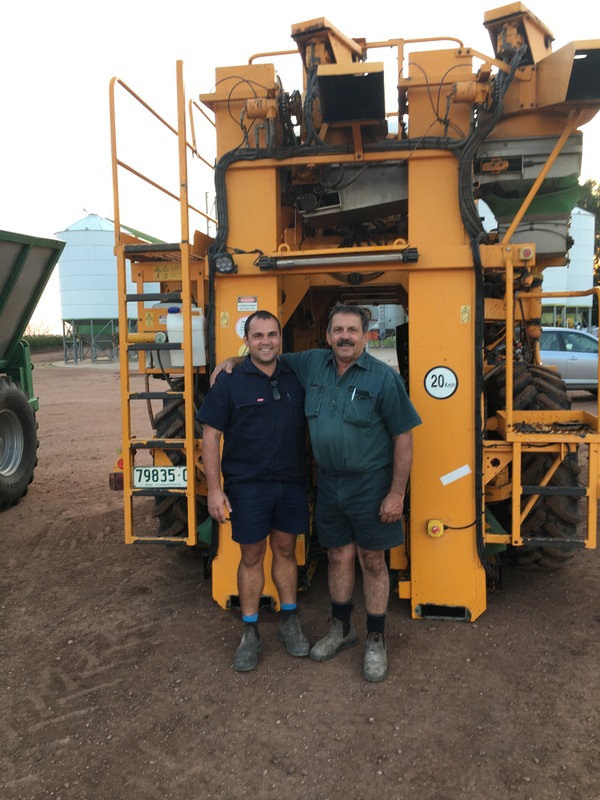 The Peffer family was faced with multiple decisions of the time, including that if developing their own regional brand despite the vast number of farmers who exited the market or chose to contract with a handful of large graders. As Rob spoke, change will continue to be part of their business in this highly competitive market. 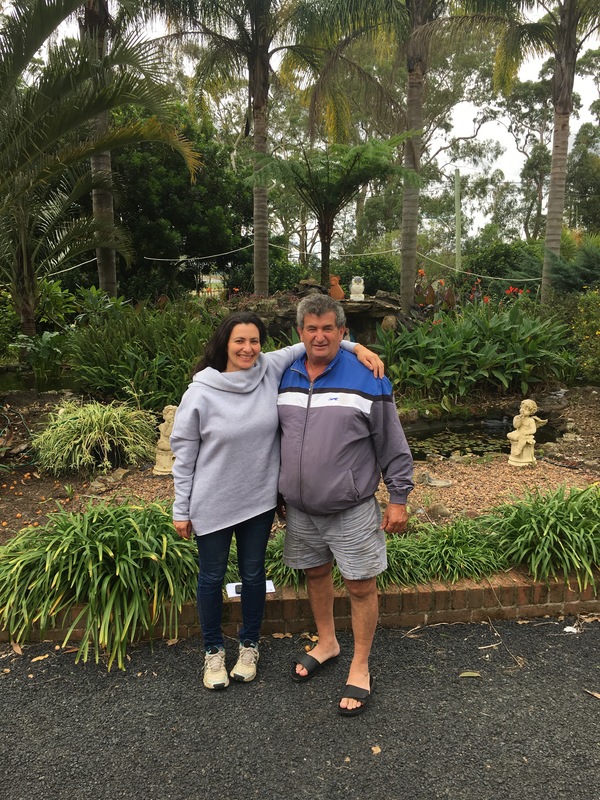 Is I travelled south, Luke Mancini his brother Xavier and parents Sam and Liz welcomed me to their farm. As my first true introduction to flood irrigation, I soon realized how critical the system and water security is to the viability of their farm. I was fascinated to hear Sam’s experience as first generation Italian immigrants to the area and how their business evolved. The Mancini family business continues to change and adapt for the future. Past decisions to diversify into olives and grapes 20 years ago proved good decisions of the time. But today, as cotton genetics improve, coupled with a strong market, additional acreage of this high intensity crop continues to be a guiding force for now. But any family business wouldn’t be settled until the next generation is integrated into the farm. However as Luke and Sam toured me through the area; the one constant variable that inflicts change is water; it’s availability and consequently its price! My last farm visit I would like to highlight is that of John and Michelle Keely of Cohunna. Operated as a family farm with their son Harrison, I was impressed at the dairying intensity of Northern Victoria. Like most dairy farms, John toured me through their farms and explained how the farm has grown and evolved with time. Again, water represents about half of the total real estate investment on farm, these channels are truly the ‘river of life’. 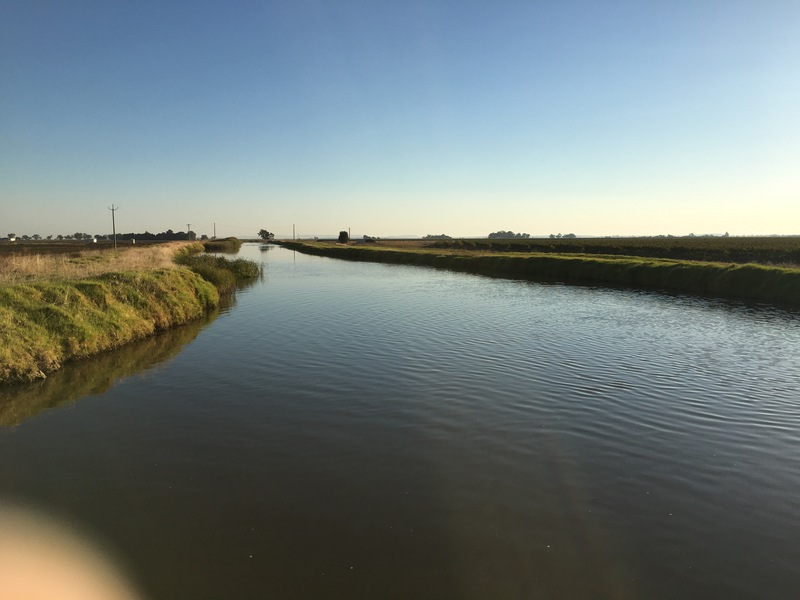 Fascinated by the water flow, control and manipulation from the Murray River, the farm is fed through these channels which are perhaps more work than milking the cows themselves in finding a balance in supply of feed without the overuse of this limited resource. However aside from water, a key challenge faced by Australian dairy farmers is milk price! Unfortunately certain milk companies in Australia made poor decisions, ones that involved mismanagement of milk stocks and others around milk price manipulation. 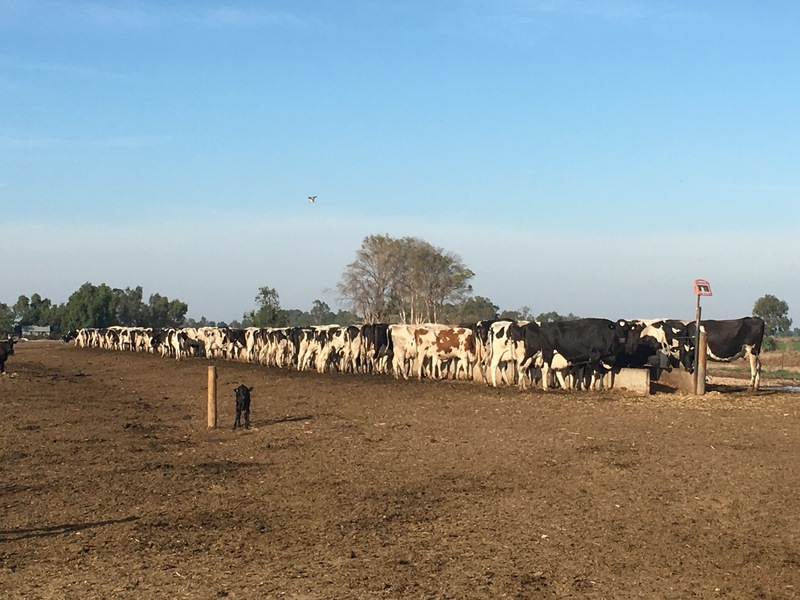 As such, the Keelys recently chose to invest in a new milk processing relationship, one that will provide the management, price and stability that farmers expect. Change is reflected in making decisions to react and better position the farm for the future. In addition to changes on farm, I was pleased to spend two days with large agribusiness firms, Baiada and Woolworths, learning about their poultry business. Intrigued about market connectivity, they were able to shed light about market decisions and how they affect farmers like myself. As I will soon begin to draw conclusions on my own Nuffield report, the process by which decisions are made at this level, have an over riding affect on the success and profitability of the industry. Despite my blog pertaining to the more formal learnings of the week, I want to point out that my time, hospitality and social engagement with my hosts was a highlight! I truly appreciate the time and conversation shared, particularly over Easter Weekend.